Legendary choreographer Bill T. Jones sits down with Joe Donahue from WAMC Public Radio’s “The Book Show” to discuss and read from his new book “Story-Time: The Life of an Idea” – a memoir filled with telling vignettes–about his childhood as part of a large, poor, Southern family that migrated to upstate New York; about his struggles to find a place for himself in a white-dominated dance world; and about his encounters with notable artists and musicians and his emergence as one of the icons of the modern dance world. Followed by a Q & A and book signing! The Villalobos Brothers: Masterfully blending the indigenous rhythms and melodies of their native Veracruz, Mexico with the intricate harmonies of jazz and classical music, The Villalobos Brothers deliver an intoxicating brew of music. Arturo O’Farrill: Pianist and composer Arturo O’Farrill, best known for his Grammy-award winning contributions to contemporary Latin Jazz, particularly his work as leader of Jazz at Lincoln Center’s “Afro-Latin Jazz Orchestra” performs with his quartet. 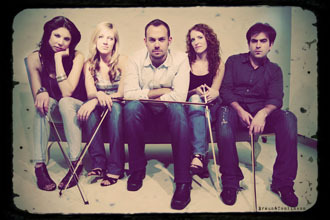 SYBARITE5: From the moment their bows hit the strings, this quintet of talented, diverse musicians takes the audience on an exciting ride that engages the senses and redefines the rules.From Mozart to Radiohead, Sybarite5’seclectic repertoire and dynamic performance style is turning heads everywhere. 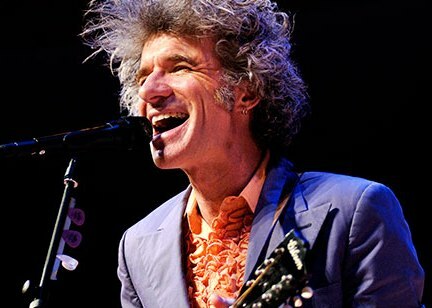 Dan Zanes: Dan Zanes occupies a unique place in American music where sea shanties, English music hall, North American and West Indian folk music, play party songs, the spirit of early rock-and-roll and soulful originals collide. He has toured the world sharing handmade 21st century social music with enthusiastic crowds of kids and kid sympathizers.